There are many of reasons to visit Thailand, start from beauty golden beaches, full of mysterious architecture, religious and culture. It’s not just that there are so many good places, but that there are so many types of good local food places, from luxurious spreads in the most posh surroundings, until small street foods on a sweltering street corner. Here I list out a few local foods in Thailand you should try and can't miss out. Every Asian country has their own version of stir fried noodles and Pad Thai is definitely one of the most distinct tasting. You can find these in small food joints in the streets as well as in 5 star restaurants. Invented in the 1930s by a Chinese-Thai chef, this dish of thin rice noodles stir-fried with egg, tofu and shrimp, and seasoned with fish sauce, sugar, tamarind, vinegar and dried chili. 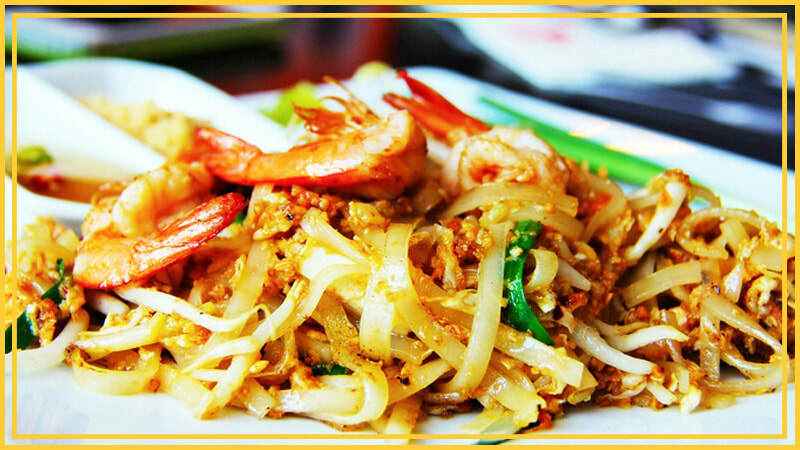 While you might think that this is just a rehash of the ever famous Chinese noodles, but Pad Thai is very Thai style because of the ingredients used to flavor the noodles. Chilies, Sugar, and the tang of tamarind render an interesting touch of flavor that you never taste in other places. Then there’s the protein—chicken or pork, shrimp, and tofu to give it texture. Then herbs are added to impart color and flavor, while beansprouts and peanuts provide layers in each bite. To give it a refreshing taste, and a nice little dose of lime juice is added in noodles before eating. Tom yum or tom yam is a type captured the many hearts of people because of its complex flavor profile. This soup is a party especially of tastes and is at the same time sour and hot. The aroma of Tom Yum Goong is beyond description, it’s usually cooked with shrimp and also galangal, lemongrass, Kaffir lime leaves, and coriander in the mix so there is a lot going on in each bite. Tom yum is origin 100% in Thailand, this herb-forward broth is often referred to in English-language menus as 'sour Thai soup'. Mango sticky rice is a Thai dessert made with glutinous rice, fresh mango and coconut milk. It is a traditional Thai food eaten with fork, spoon, or sometimes the hands. It this one of Thailand’s most representative desserts. The concept is very simple and it tastes so good. Take a ripe tropical mango (sweet), juicy kind that is perfection in itself, and sticky rice—which is cooked glutinous rice soaked in a mixture of coconut milk, sugar, and a little salt then garnished with sesame seeds. Its will surprised your taste when you eating. It this one of Thailand’s most representative thai soup, this iconic soup infuses fiery chilies, thinly sliced young galangal, crushed shallots, stalks of lemongrass and tender strips of chicken. However unlike its more watery cousin, lashings of coconut milk soften its spicy blow. Topped off with fresh lime leaves, it's a sweet-smelling concoction, both creamy and compelling. Thai green curry is one of the popular curry dishes lover by Thai local people. Morsels of fresh chicken, Cherry-sized eggplants, Tender bamboo shoots, Coriander, sweet basil. These all materials form the body of this seminal curry. But why is green color? Because this dish is normally prepared by combining fresh green vegetables with meat. The curry is fondly called Gaeng Keow Wan Gai Thai which translates to “sweet green curry”. Green curry is equally hotter as its red counterpart but hotness and sweetness of the dish is somewhat balanced in this curry; however at time there is a slight prominence of sweet tones. The dish can be easily cooked up with any handy green curry paste. Join our mailing list to receive the latest news and updates to your email inbox! Hong Kong local foods you should try! ​Which night market traveler should visit in Taiwan?